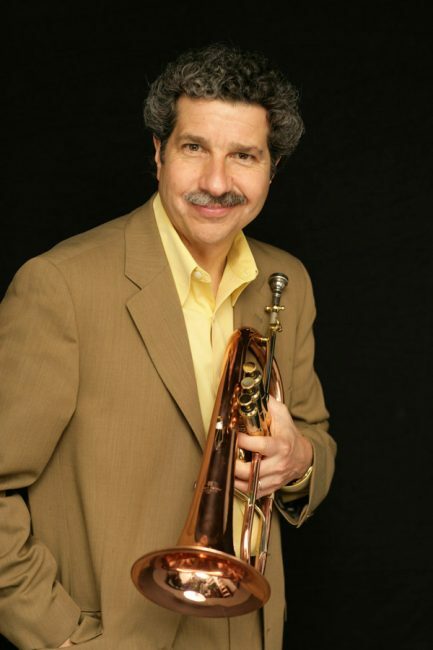 Trumpeter/Flugelhornist Mark Morganelli began presenting concerts in his first Jazz Forum loft at 50 Cooper Square in June 1979. By the time the second Jazz Forum loft closed its doors in April 1983, recordings, videos, films and radio broadcasts had documented performances by Dizzy Gillespie, Art Blakey, Wynton Marsalis, Woody Shaw, Red Rodney, Carmen McRae, Barry Harris, Philly Joe Jones and Max Roach. After residencies at the Village Gate and Entermedia Theater, thirty-two years ago, Morganelli established Jazz Forum Arts, a not-for-profit arts presenting organization, and in 1985 started the River-side Park Arts Festival, which concluded on its 13th anniversary in August 1997. Morganelli has produced over sixty compact discs, most for Candid Records, twenty of which were recorded “Live” at NYC’s Birdland club, where he was the music coordinator for five years. Twenty-five years ago, Morganelli and his family moved to Westchester, and shortly thereafter, he inaugurated the Jazz at the Music Hall series in Tarrytown. Performers have included Ahmad Jamal, Billy Taylor, Harry “Sweets” Edison, James Moody, Betty Carter, Gerry Mulligan, Herbie Mann, Sonny Rollins, Clark Terry, Maynard Ferguson, Dave Brubeck, Chuck Mangione, Bobby McFerrin, Chick Corea, Savion Glover, Cassandra Wilson, Dianne Reeves, Dr. John, Spyro Gyra, David Sanborn, Chris Botti, Pat Metheny, Hugh Masekela and the Count Basie, Lionel Hampton, Illinois Jacquet, Duke Ellington and Jazz at Lincoln Center Orchestras. Morganelli produced the Sunnyside and Berkshire Jazz Festivals and was executive producer of “Reckson Jazz at Tilles”, at C.W.Post College in Greenvale, Long Island for nine years. Other productions have included the Tarrytown Arts Festival, concerts at the Paramount Center in Peekskill, the Palace Theatre in Stamford, CT, NJPAC, The John Harms Center in Englewood, NJ, the Performing Arts Center at Purchase College, SUNY, The Beacon Theatre, Symphony Space, NYU Skirball Center and The Town Hall, NYC. Morganelli also produced the Dizzy Gillespie 75th Birthday concert at Carnegie Hall and co-produced the “Jazz Beats Breast Cancer” concert at Avery Fisher Hall. In 2005, he began presenting a new concert series at Jazz at Lincoln Center, supported by grants from the NEA for NPR broadcasts of the events. As a trumpeter and flugelhornist, Morganelli performed at the 1976 Montreux Jazz Festival, the 1992 & 1994 Syracuse Jazz Festivals, the Du Maurier Downtown Toronto Jazz Festival, JVC/NY and Saratoga Jazz Festivals, the White Plains Jazz Fest, several tours of Italy, many concerts and festivals in Europe, Japan, Brazil and the Caribbean, and hosted nightly jam sessions aboard the QE2 to the Newport Jazz Festival from 1996-99. He continues to perform with his Jazz Forum All-Stars and Brazil project around the region and recently released “My Romance,” his fourth CD as leader. He and his wife, Ellen Prior just opened their new Jazz Forum club in Tarrytown, NY in June, 2017. Ellen has been Associate Director of Jazz Forum Arts since the founding of the not-for-profit in 1985, supporting the Board of Directors and assisting her husband, Mark Morganelli in fundraising and on-site management of events. With the prospect of opening the Jazz Forum, Ellen made a substantial career change and added General Manager of the Jazz Forum to her role in the not-for-profit operations. She retired from her position as Director of Human Resources at Trinity Wall Street, where she served the 250 staff members who realize the diverse programs of this historic institution for over 11 years. Previously, she was a management consultant to non-profits for the Hay Group and as the principal at Prior Consulting Group. Ellen’s clients have included the American Museum of Natural History, the Rockefeller Brothers Fund, the International AIDS Vaccine Initiative, Planned Parenthood, Bridges to Community, and Holy Apostles Soup Kitchen. Ellen earned an MBA from NYU’s Stern School of Business and a BA in American Studies from Barnard College. She has volunteered for HOUR Children, an employment preparation program for formerly incarcerated mothers, Destination Imagination, and Trinity Mission & Service Engagements in New Orleans, Panama and NYC. 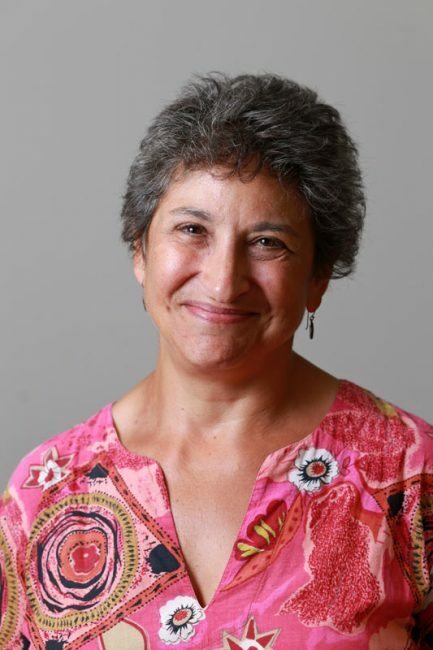 She was a co-founder and Board Chair of Ovation Music Education Program in Dobbs Ferry (now merged with RiverArts Music Program), was Vice President of RiverArts in the 1990s and currently serves as a member of the RiverArts Board.